If you ever find yourself in Barnegat Bay, you can rely on us at The Dock Outfitters in Seaside Heights, NJ to provide you with supplies for your fun activities. We are your one-stop shop for fishing and recreational needs including rental boats, Jet Skis, and WaveRunners. More blog posts are coming soon! If you are looking for real fun in the water, we suggest riding through the waves. With our fleet of Yamaha WaveRunner rentals, you will surely enjoy your ride on the Barnegat Bay! Our full line of rental boats includes outboard-powered, 16 feet Carolina Skiffs. 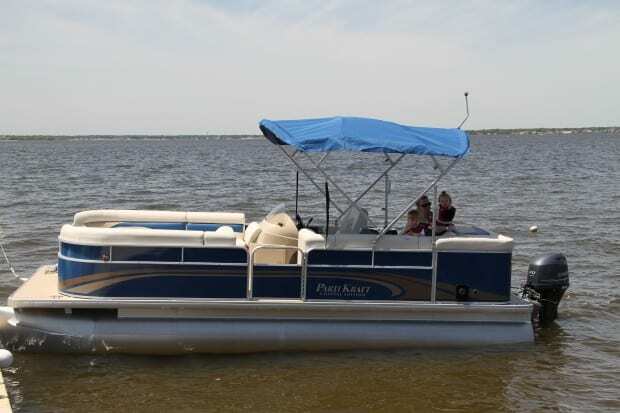 These boats are perfect for fishing, crabbing, and cruising along the Barnegat Bay! If you're looking for a bit more comfort while cruising on the bay, consider one of our pontoon boats. We have boats of up to 24 feet, which are available for larger parties of up to 8 adults and 2 children. Our full-service bait and tackle shop has everything you need for any fishing or crabbing trip; from the beach to the bay, to the ocean, we've got you covered. We can provide you with fishing poles, crab traps, bait and more for any trip, large or small. We also provide a free crabbing and fishing pier right behind our shop!